Residential - Detached Chalet Bungalow - Saanenmöser, Bern - CH - 119301004-52 , RE/MAX Global - Real Estate Including Residential and Commercial Real Estate | RE/MAX, LLC. Be careful, you will fall in love immediately with this pristine authentic chalet! There is nothing missing with this beautiful chalet but be careful, you will fall in love immediately with this pristine new home! This spacious chalet fullfills all your dreams for the perfect holiday home. That you feel at home immediately might be because the layout is feng shui. The main floor offers a big living area with a modern kitchen. An extra room for your office or playroom and the laundry is on the same floor. On the second floor you enjoy a spacious master bedroom with a walk in closet and a tremendous bathroom. Additional two bedrooms, another bathroom and a lot of extra space is on this floor before you go up the stairs to the top floor. Here you find a cosy living room and another bedroom with bath. 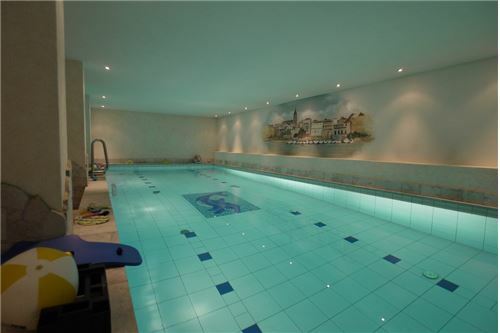 Splish splash in the basement, enjoy a refreshing swim in your wonderful pool or relax in the steam bath or whirl pool. A big garage for 3 cars, easiest to drive in to come home. It will be my pleasure to give you more information about this unique opportunity!